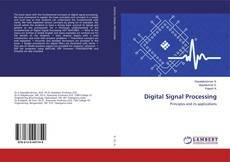 Digital Signal Processing, 978-613-9-44774-9, 6139447747 ,9786139447749 by Gopalakrishnan S., Vijayakumar D., Rajesh A. 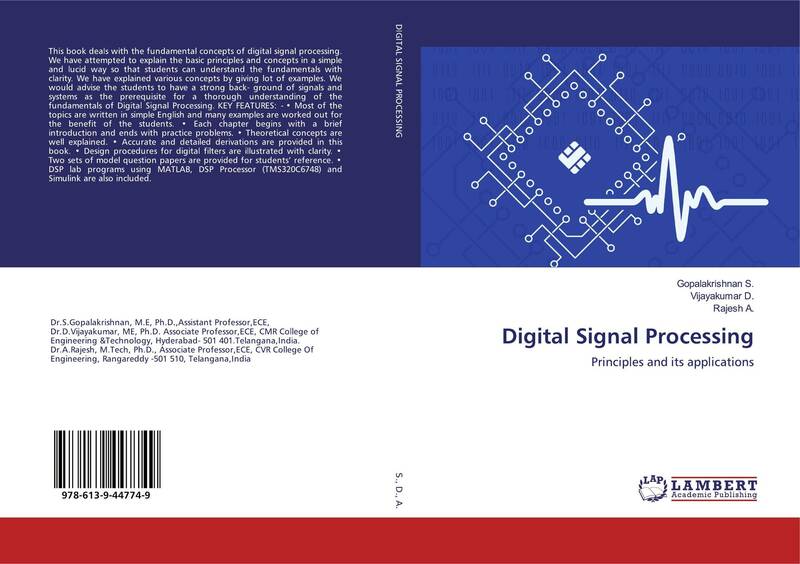 This book deals with the fundamental concepts of digital signal processing. We have attempted to explain the basic principles and concepts in a simple and lucid way so that students can understand the fundamentals with clarity. We have explained various concepts by giving lot of examples. We would advise the students to have a strong back- ground of signals and systems as the prerequisite for a thorough understanding of the fundamentals of Digital Signal Processing. KEY FEATURES: - • Most of the topics are written in simple English and many examples are worked out for the benefit of the students. • Each chapter begins with a brief introduction and ends with practice problems. • Theoretical concepts are well explained. • Accurate and detailed derivations are provided in this book. • Design procedures for digital filters are illustrated with clarity. • Two sets of model question papers are provided for students’ reference. • DSP lab programs using MATLAB, DSP Processor (TMS320C6748) and Simulink are also included. Gopalakrishnan S., Vijayakumar D., Rajesh A.